The successor to Samsung's Note5 flagship will come with a whopping 6GB RAM and 5.8-inch display, according to a new rumor out of China. For comparison, the Note5 has 4GB RAM and 5.7-inch display. While 6GB RAM definitely seems ambitious, we can't just dismiss it as hot air. If you recall, Samsung started producing 6GB RAM chips for smartphones back in September last year, and some of the upcoming Chinese flagships are already rumored to come with this much RAM. 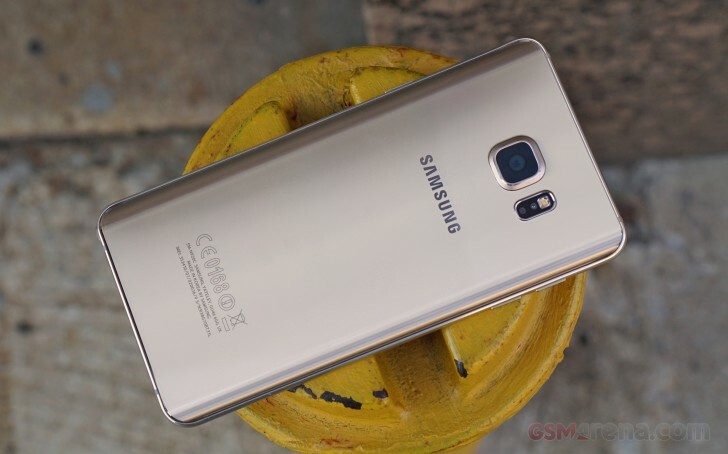 So, Galaxy Note 6 with 6GB RAM is entirely possible. Anyway, moving on, the rumor also says that the South Korean company will be using RGB matrix for the device's screen, something which hasn't been used in Samsung's flagships since the Galaxy S II. The phone is also said to come with a larger battery. In addition, the rumor also notes that the handset's screen will be pressure-sensitive with 1,024 pressure points. This, however, doesn't seem correct as it's a downgrade from the Note5, which already has 2,048 pressure points. As for the other specs, the phone is said to be powered by two different chipsets (like it is in case of the Galaxy S7 we assume), and will have 64GB and 128GB UFS 2.0 internal storage options. The rumor also notes a 12MP rear camera with Super OIS. Needless to say, none of this has been official confirmed, so take it with a pinch of salt.